The last Day to pre-order your YEARBOOK is Monday, April 22 at 9 AM. Please bring $40.00 cash or check to the main office. Talent Show auditions for the International Festival will be 3:30-5pm on Wed. April 17 (Tr. 1, 2, & 3) and Wed. April 24 (Tr. 4). See Mr. Stauffer, Mrs. Shuler, or Mrs. Payton Davis for an audition form and bring it with you to the audition. Parents, we want your feedback! Take this SURVEY to let us know how we're doing. SCROLL DOWN for more reminders! HMS Theatre presents The Music Man Jr.
on April 10, 11, & 12 at 6 PM. Buy tickets in the main office for $5.00. 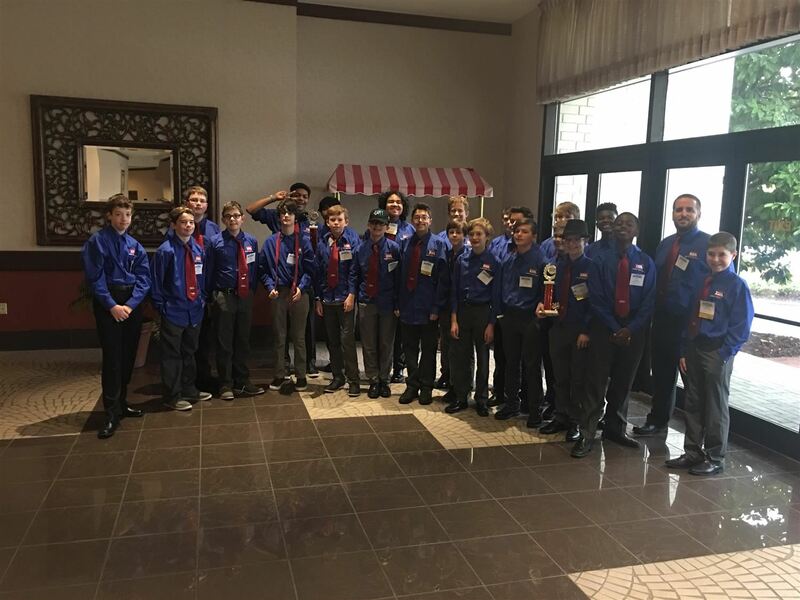 The HMS chapter of TSA attended the Technology Student Association State Competition. HMS placed in the top 10 in the state for almost every event we competed in. 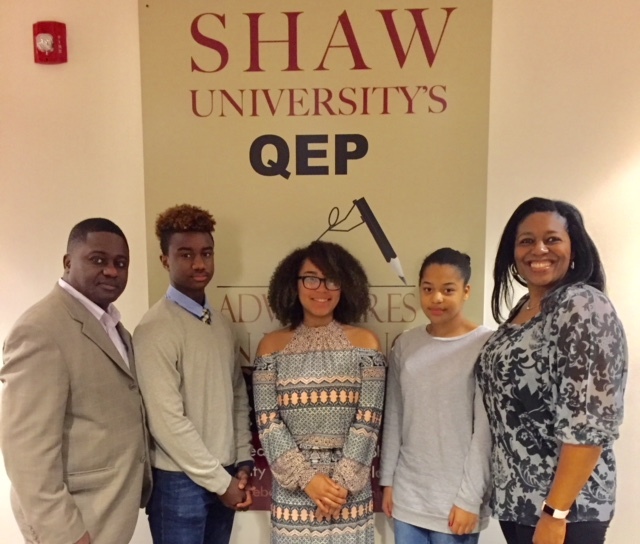 Mr. Wrighten and Ms. Edmonds led HMS CTE Students at the African American Awareness Competition at Shaw University in Raleigh. 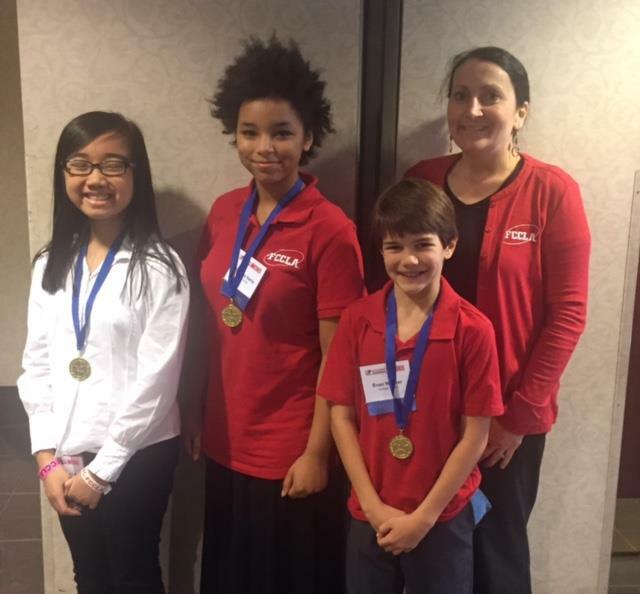 FCCLA Wins Gold In Their 1st Year at HMS! 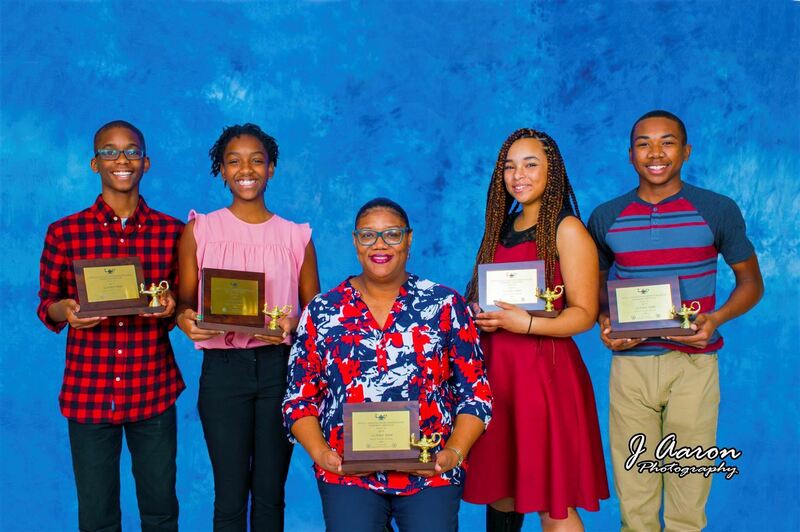 On Thursday, April 6, 2017, HMS FCCLA members won gold at the State Leadership Conference in Greensboro, NC and qualified for the National Competition in Nashville, TN. Monday, July 8. Click here for times. We encourage you to check out our School Progress Report to see how we are doing. Information can be found here or here for Spanish. All teachers follow the HMS Homework Policy. Orders placed between the 1st & 15th of the month will be delivered to homerooms about the 12th of the following month. Orders placed between the 16th & 31st will be delivered to homerooms about the 25th of the following month. If you are prompted to enter a district code or access code for the PowerParent Portal, that code is KNDW. 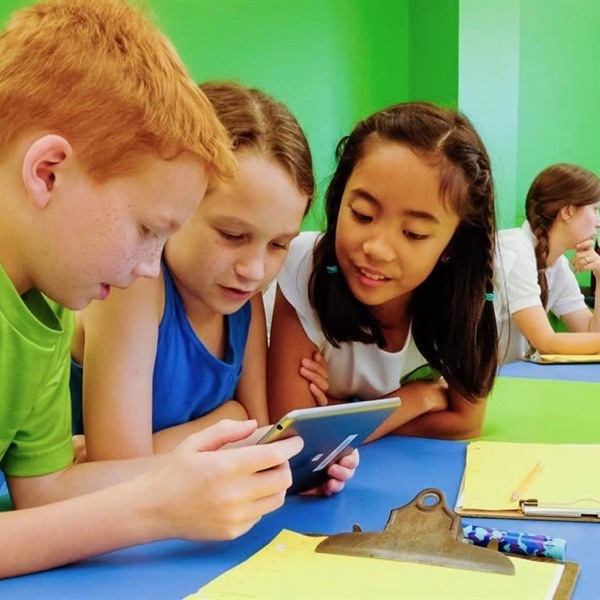 Students use the single sign-on process through NCEdCloud to access Home Base applications. This includes: PowerSchool (grades, attendance, etc. ), Canvas, SchoolNet. Students will need to claim their account using EdCloud Instructions. Students will be able to reset forgotten passwords by clicking “Forgot My Password” on the log in page. All teachers follow the HMS Grading Policy.